Over the coming weeks, Thunder Matt's Saloon will have previews of all 30 MLB teams. We're starting at the bottom and working our way up based on the current Vegas odds for winning the 2016 World Series. More or less anyway. It's nearly May and no one cares. Still? Yep. Still.We're so close to the end though... It's the Giants. Setup: Internal Affairs was setting them up all along! Something something even year. Buster Posey and so on. Is Tim Lincecum still high? Yes. Reason to Watch: The X-Files is now in HD on Netflix. That's a good reason to watch. The makeup on the episode where they age fast on the boat is a little rough, but generally it looks pretty good. Reason to Drink: You can drink on Caltrain going to the game, which means you should. Nothing quite like arriving at the park with a solid buzz going. 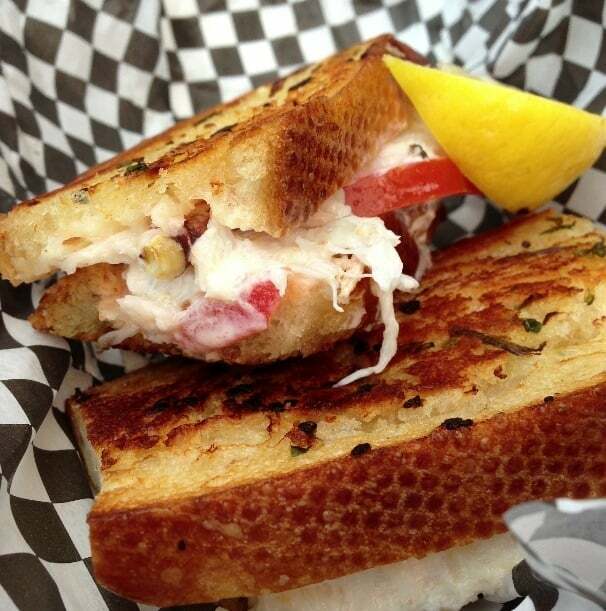 The Food: The crab sandwich in the outfield is the best ballpark food I've ever had. Frankly it's my #1 sandwich ever. Unfortunately they are small and like $16, so the cheapskate in me only allows the purchase of one. I'd gladly eat like 10 of these. Greasiest Player: The Giants love them some greaseballs, but it comes down to Angel Pagan and Brandon Crawford, and really it's no contest. Brandon Crawford's hair has more oil in it than the Alberta Tar Sands. They should build a pipeline to his house. Fantasy Standout: I dunno, Brandon Belt? Fantasy Bust: I dunno, Brandon Belt? The Pop Culture Equivalent To This Team Is: Greasy Brandon Belt eating a crab sandwich while drunk on Caltrain heading home to watch The X-Files on Netflix. None of these people are Brandon Belt.